Note: this post was originally created in 2014, but has been significantly updated. 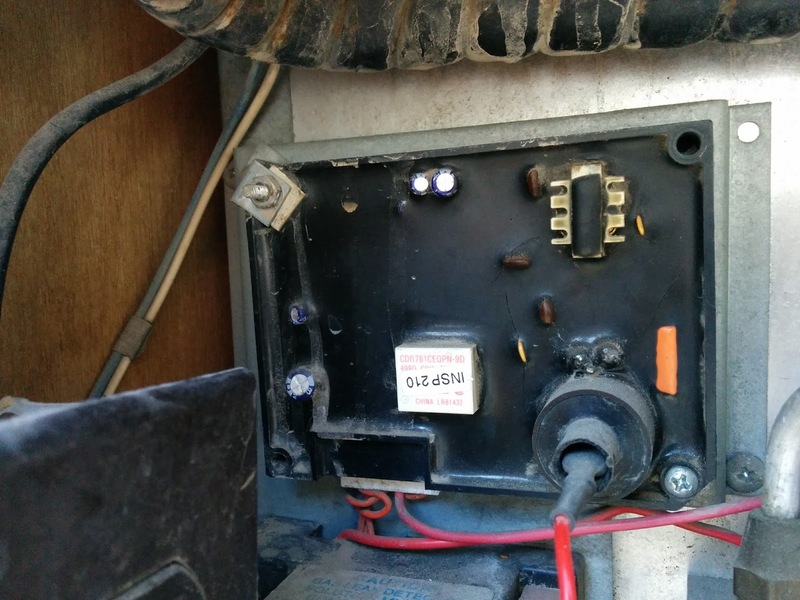 This advice will be of interest to anyone with an old RV fridge that is not working properly. Unlike the compressor fridge in your house, evaporation fridges (typically used in RVs) require consistent annual maintenance. The Problem: At first, I would find the fridge dead by morning and would require several attempts to re-ignite the burner. The problem could be solved initially with servicing as described in the second half of this blog post. However over the ensuing years the problem gradually got worse and eventually no amount of servicing would fix it. "Ever since we acquired our 1988 trailer, three years ago, the Norcold model 8663 refrigerator has sporadically refused to operate on propane. Usually, the problem was that the flame would light, appear to burn normally, then go out after 10 seconds or so, refusing to start again until I cycled the control panel switch to "off" and then back to propane. In recent months, there has also been another failure mode, where the flame came on very weakly or not at all, and then blew out with a loud "pop". Each time it failed, I did all the standard maintenance things, and it generally started operating just fine. Then, a few months later, it would fail again." My solution is similar to theirs, but I have a few additional notes and observations. The main problem was the ignition module, although annual fridge maintenance is always important with an evaporation fridge. Here is a link to the Dinosaur website showing their various Universal Ignition boards, and here is a link to Dinosaur Ignition Module UIBS that I purchased on Amazon.ca, and here is a link to the cover. Installing this ignition module restored the fridge to correct operation. I believe that the UIBL (large) ignition module may have fit better, so be careful to measure before you order. I am not certain. I was able to make the UIBS fit, by drilling some additional holes in the metal panel that the ignition module mounts onto. Other than that, installation was fairly easy. I believe that the old ignition module, pictured above, may have been replaced by the previous owner at some time in the past. Note that the module is only mounted with two screws, and the one in the top left has a metal S bracket because the hole on the module does not match up with the hole on the mounting plate behind it. 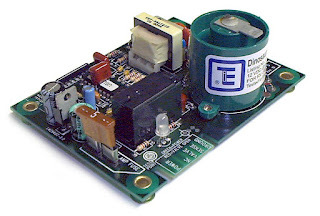 The new module from Dinosaur Electronics is universal and designed for furnaces and water heaters as well. Therefore it is important to follow the enclosed directions to cut a jumper on the circuit board which is intended only for furnaces. The jumper creates a 30 second delay, which is not required (and an annoyance) when this circuit board is installed in a fridge. You might also want to replace the ignition/sensing electrode as well. On early Norcold fridges, there were two electrodes; a sensing electrode (thermocouple) and an ignition electrode. 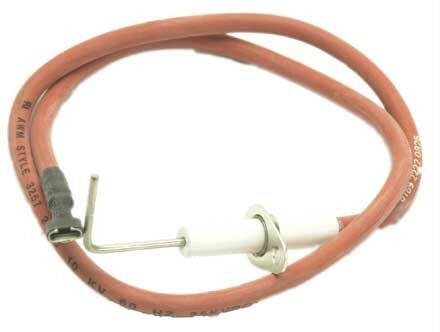 I was able to purchase an ignition/sensing electrode at my local RV dealer because it is a fairly universal part, but was told that they could not order a separate spark electrode. Just guessing here, but I assume at some point in the past Norcold combined the sensing electrode (thermocouple) and ignition electrode into one. If you replace this ignition electrode with a new ignition/sensing electrode, but also leave the old sensing electrode (thermocouple) in place, it is unnecessary. I suspect that this redundancy may have contributed to my problems in the past. I removed the old sensing electrode and the fridge works flawlessly with only the single ignition/sensing electrode. To recap, here are some pictures of an annual fridge cleaning, plus replacement of the electrodes (optional). In this example the sensing and ignition electrodes are being being replaced with a single ignition/sensing electrode, in the same opening as the old thermocouple. Replacement of electrodes is NOT something you would need to do on a regular basis. If you are re-using the old electrodes, they should be cleaned as a part of the annual servicing because they can corrode or gather soot deposits. Sandpaper is good for this job. The entire area around the electrodes and burner should be blown out with compressed air. This area gathers a lot of debris over a year of use. Common sense: turn off the gas before removing the gas line! Make sure that the tiny hole in the orifice is completely clean; use a pin or thin wire if required. 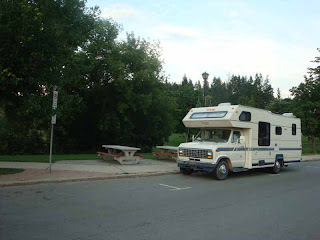 On our trip last summer (July 17, 2012) we parked overnight at Picadilly Mall in Salmon Arm, BC. 1151 - 10th Avenue S.W. This mall welcomes boondockers. So much so that they provide a free sani-dump in the NE corner of their parking lot. Their website even says "complimentary sani-station & RV friendly parking." The site was quiet, clean and well away from the highway. There are lots of businesses to meet your travel needs. 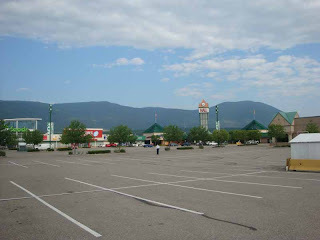 The next morning I returned some shopping carts to the corral, and shopped at the mall to show my gratitude. Suggestion: for your day site, to make a meal and hang out, go to McGuire Lake park, a short drive away. Lovely, well maintianed and quiet. 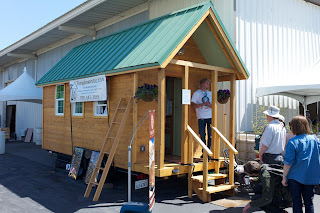 I read with interest this week about a local family who are building a "Tiny House". I find this a very interesting take on the idea of fulltiming, and how fulltiming in an RV can be an environmentally friendly choice. A tiny house is usually built on a trailer frame, because in almost all jurisdictions the building codes prohibit construction of permanent dwellings below a certain size. 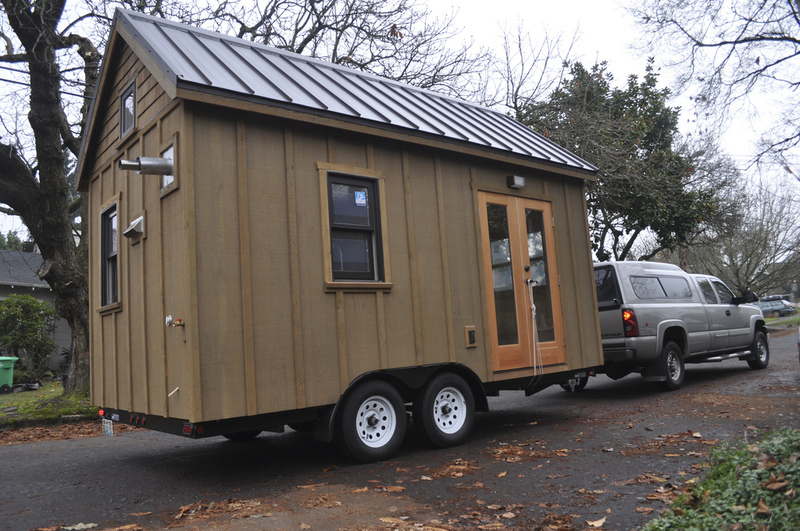 Therefore Tiny House advocates usually need to build their homes on wheels to circumvent the building codes. So a Tiny House is usually a type of RV. 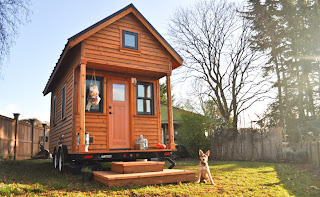 While there is significant overlap, the main difference (IMHO) between the Fulltiming movement and the Tiny House movement seems to be as follows: tiny houses are not intended to move around a lot, where fulltimers (living in a conventional RV) tend to be more mobile - therefore (sometimes) burning a lot more fuel. But it isn't necessarily so, and there are lots of RV fulltimers who are fervent environmentalists. An example of green fulltimers would be http://www.greenrvlife.com/. I often yearn to downsize, and free myself from the lifetime of junk I have accumulated. 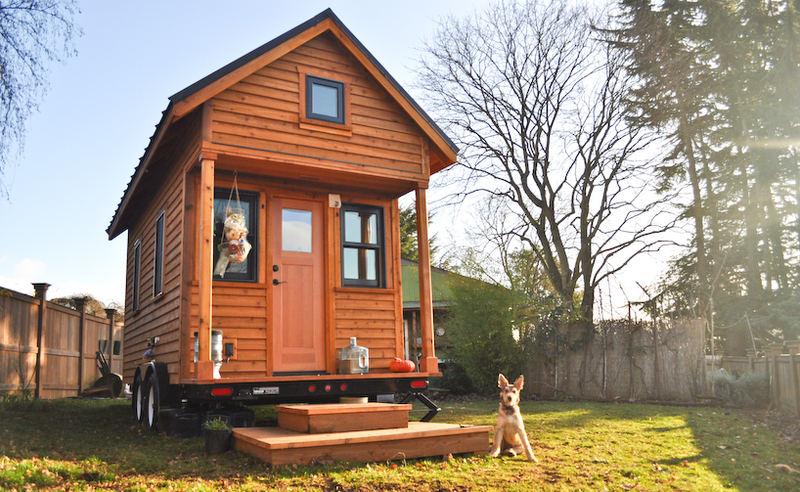 Maybe someday I will be a Fulltimer or live in a Tiny House. This summer we did a fifteen-day tour of British Columbia in our motorhome, from July 17th to 31st. the Total distance was 2807 km. 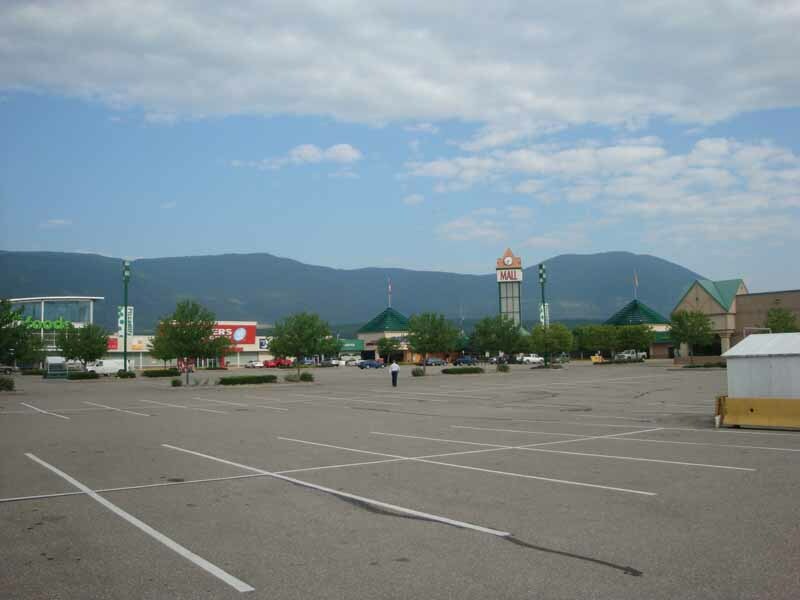 July 17: Drove to Salmon Arm and boondocked at Piccadilly Mall. They welcome boondockers and even provide a free sani-dump. 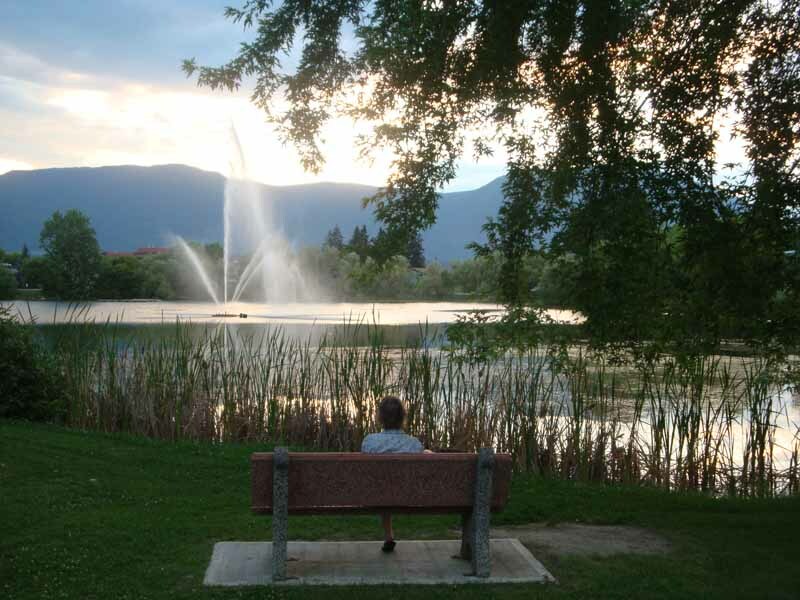 A nice place to make supper before hunkering down is McGuire Lake Park on the East side of Salmon Arm. July 19: Day of rafting on the Thompson River, hosted by Kumsheen Rafting Resort . Photo below. July 20: Drove to West Vancouver via the north route, through Lilooet, Pemberton and Whistler. Incredible scenery! July 21: Visited relatives in West Vancouver, stayed at Capilano River RV Park. Very expensive but clean. 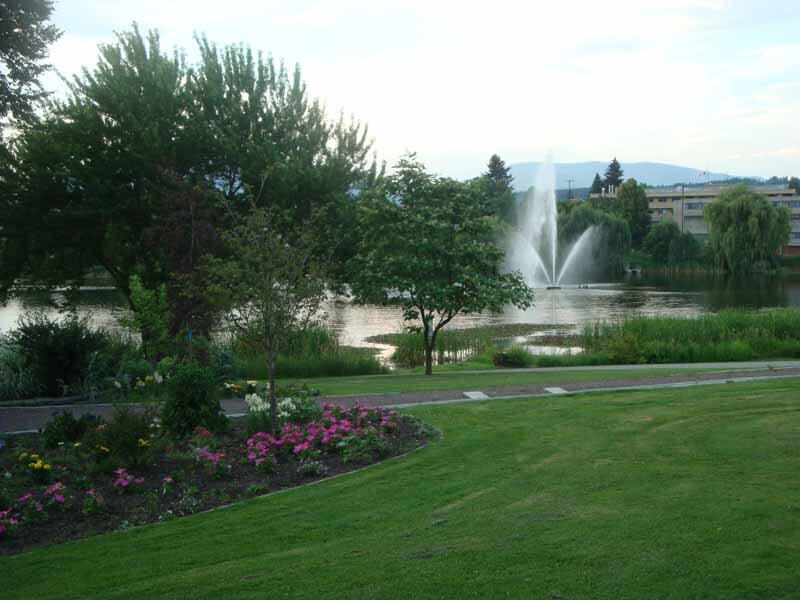 July 22: Visited relatives in West Vancouver for a second day. July 24: Drove to Osoyoos, on the Okanagan Valley. Stayed at the best campground of the trip, Haynes Point Provincial Park. 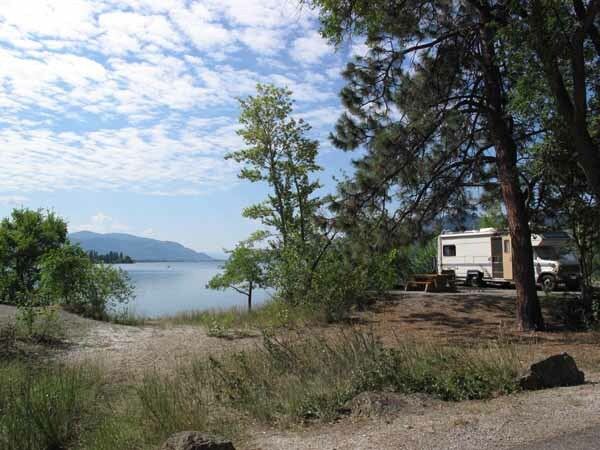 "Surrounded by warm water and sandy beaches, Haynes Point sits on a pencil of land jutting into Osoyoos Lake." Photo below. July 25: Drove north through the Okanagan, stopping at wineries such as Nk'mip Cellars and See Ya Later Ranch . took the winery tour at Nk'Mip Cellars. Ended the day at Kekuli Bay Provincial Park near Vernon. July 26: Another day in Kekuli Bay Provincial Park , cruised around Vernon and lazed at the beach in Paddlewheel Park. 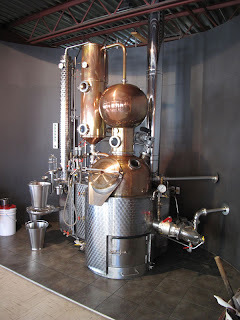 July 27: drove to Vernon and visited the Okanagan Spirits Craft Distillery. 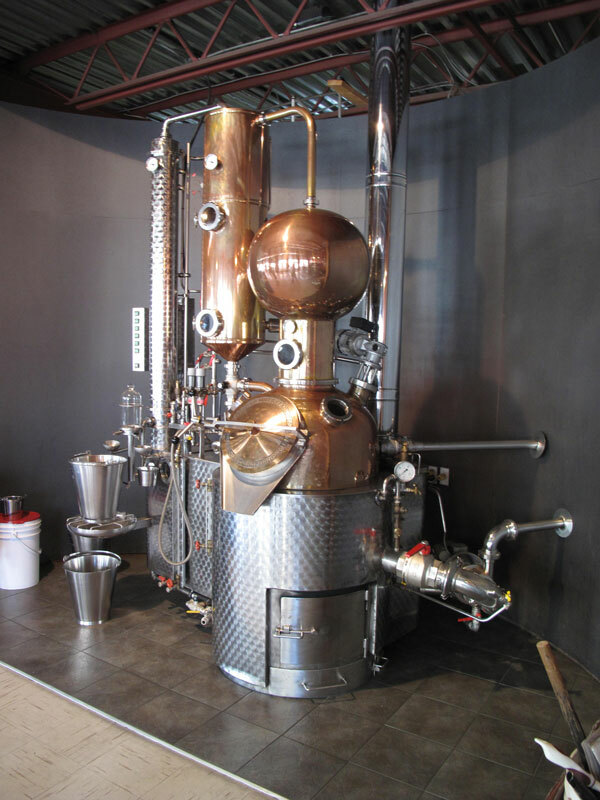 Worth a visit just to see their lovely wood-fired still, let alone the delicious spirits. See Photo below. 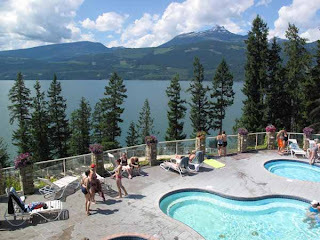 Drove west on highway 6 to through Lumby, (beautiful scenery) took the ferry at Needles, through Nakusp and on to Halcyon Hot Springs Village and Spa. 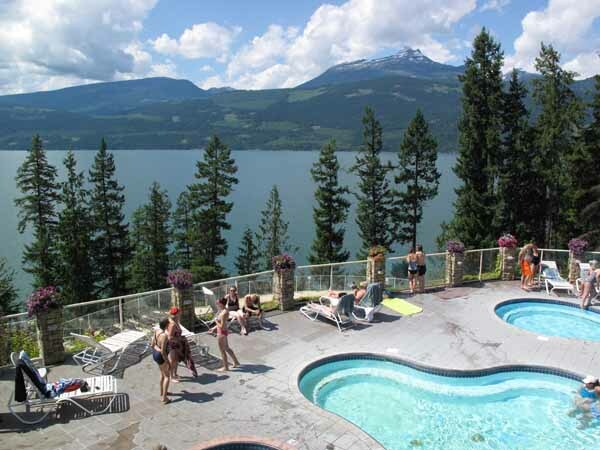 Halcyon is the nicest hot springs I have ever seen! Photo below. July 28: Soaked some more in the hot springs. Then drove down through the Slocan Valley through New Denver and stayed overnight on my brother's property near Winlaw. July 29: Stayed in Winlaw. Spent the day boating with my brother on Slocan Lake. This beautiful lake is a lot less crowded than anything in the Okanagan. July 30: Drove on through Nelson; parked at Lakeside Park and rode our bikes from there along the Lakeside Waterfront Pathway. Walked through the quaint downtown area and did some shopping. Drove on to Creston. July 31: Picked 30 pounds of cherries in Creston, then drove home. 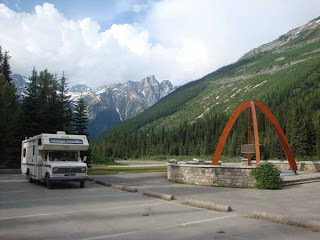 On a recent trip in British Columbia in our motorhome, our route included a lovely scenic highway from Lytton to Lilloet, and another from Lillooet to Pemberton. It was a beautiful drive, and very rugged terrain. The first stretch was steep and winding. The second stretch from Lilooet to Pemberton was even worse, with hairpin turns and very steep grades up to 13%. The 13% portion was close to Pemberton, and there were signs saying "Recommended truck speed 10 KM/h". For a few minutes before the trouble started I noticed a slight burning smell. We were descending, when suddenly on a hairpin turn my wife noticed a hubcap had come flying off. You may recall I installed new hubcaps this year (described in this post). In order to retrieve that hubcap, I stopped at the next pullout, which turned out to be very short and very steep; thus I had to brake hard. We could see smoke coming from both front wheel wells, and the smell was unfamiliar to me. The other front hubcap was gone too, but the rear ones were fine. After retrieving the hubcap and waiting for the smoke to stop, we started out again and I noticed almost immediately that the brakes were very spongy - I could almost push the pedal to the floor. I immediately geared down to the lowest gear, limiting our speed, and we crawled down the mountain as slowly as possible. Once we got down, the terrain levelled out and the brakes seemed much better, so I decided to drive to Pemberton to seek help. Within 10 minutes everything had returned to normal. We had experienced temporary brake failure; sometimes called "overheating brakes", "brake fade", or "brake fluid vapour lock". The best description I could find can be found at this link. Due to the heat of the day, the steep terrain, my heavy vehicle, and my haste to get to our destination, the brakes had overheated. This resulted in a small amount of the the brake fluid near the calipers coming to a boil and turning into bubbles of gas, and also forcing a little fluid out onto the hot brake parts resulting in the burning smell. Gas is highly compressible, where brake fluid is not; thus the brakes became spongy. Once I had driven at low speed for 10-15 minutes the brakes cooled somewhat, the gas condensed back into fluid and the brakes were fine. This may have been exacerbated a bit by the fact that I was using hubcaps on those front wheels. The hubcaps could have retained some heat near the brakes. I will need to do some research before I commit to installing new front hubcaps. Very likely the heat from the brakes caused the hubcaps to become loose, either by weakening of some plastic behind the retainer clips or maybe a little expansion of the rim itself. Next step is a trip to the mechanic for an inspection and a brake fluid flush and fill. The fluid becomes a little more prone to boiling over time and should be replaced regularly anyway. I'll update this post later if I find out more! A packing/camping checklist helps to reduce my anxiety when packing for a trip. That, and I hate to forget things. Here is a link to my current camping checklist. Your checklist will be different than mine. My checklist has changed over time depending on the number and ages of my children, and the mode of travel (bicycle, tent, tent-trailer, motorhome). Perhaps it would change again if I buy a different kind of RV. There are lots of checklists available on the Internet, but maybe something about mine will be helpful to you - maybe because your mode of travel is the same or you are at the same stage of life. If you find the checklist useful, please let me know. An aside: I quite enjoyed The Checklist Manifesto by Atul Gawande. As a frequent user of checklists, this book made sense to me. I had a spectacular plan for this weekend. But the weather is not cooperating. 100 millimetres are likely by Sunday morning." This weekend was the last chance this season - I'll have to wait for next year. I'm going to write about it anyway because is is such a cool trip. We planned to camp in Kananaskis and do the famous ride on highway 40 (paved) before it opens to vehicle traffic on Sunday June 15th. The highway is closed from December 15th to June 15th to reduce the impact on Rocky Mountain Bighorn Sheep in the area. The ride is popular and really unique because you can ride anywhere on highway - there are no motor vehicles. It is 17 KM to the pass, with an elevation gain of 536 meters on the way up and and exhilarating coast back down. 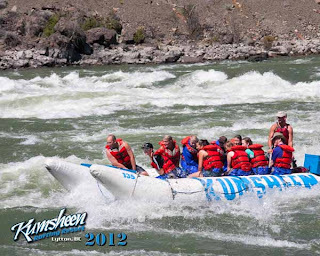 We did this about 10 years ago, and I am hankering to do it again. Will you join me in 2013? Here is a Calgary Herald article about it and a gallery of photos . 34 KM round trip, two to five hours. 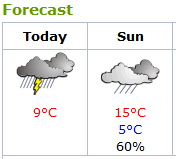 Weather and road conditions: Peter Lougheed Conservation officer duty desk at (403) 591-6309.